When should we see a counselor about our marriage? Too often, the decision to see a counselor about the struggles of marriage comes too late. The passion has cooled, walls have been built up, wounds have become infected, bitterness has set in, and the couple has slowly drifted apart. Attempts to save a marriage at the last moment are not doomed to failure, but going to counseling as a last ditch effort is often more about defending your own position than trying to work towards healing and growth. We live in a culture in which counseling is common, but we can still get sucked into the idea that counseling is for 'those people' and 'those marriages'. Only really messed up marriage need the help of a counselor, and we're not there - at least not yet. But here's the reality - every marriage has struggles. Every marriage has problems. Every marriage needs help. And the best marriages I've seen are the ones in which the couples are the most intentional about growing the marriage together. One type of counseling I love is early marriage counseling. This ranges from the occasional marital 'tune up' to walking through significant challenges in their life together. Many young couples find the possibility of marriage counseling embarrassing (we've only been at this 3 years and we're already falling apart!). There's also a reluctance to seek out help from others (we can figure this out on our own, only messed up marriages seek profession help, we'll turn out fine in the end, it's just a season, etc.). But I've seen firsthand in other couples (and experienced first hand in my own marriage) - seeking out help is a good thing - it makes a difference. 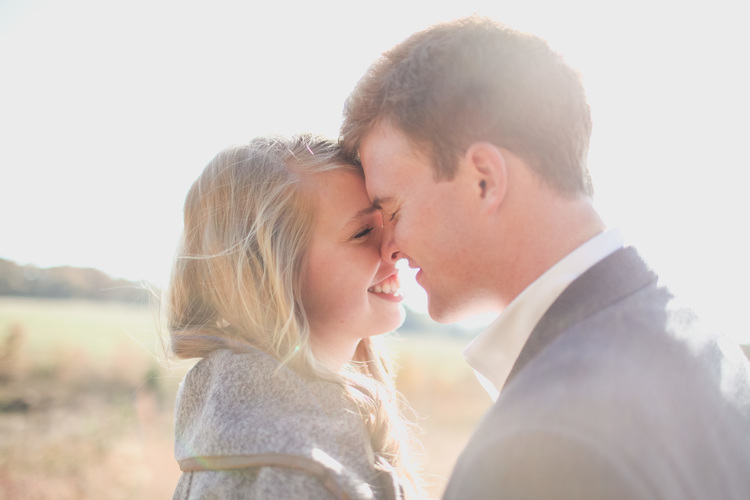 When should you see a counselor about your marriage? I don't know the answer for you, but I know that most couples tend to wait much too long to seek out good help. My encouragement to young couples (and older ones!) is to err on the side of caution - seeking help before it's too late. I'd much rather see my doctor when I'm fighting a common cold than when I'm in bed dying of pneumonia. In the same vein, I'd much rather see a counselor about marriage when problems are beginning to surface than when we're on the brink of divorce. For the sake of your marriage and your family - seek out good help. It's worth it. My wife and I have a terrible track record with taking care of plants. We've tried a number of times to have plants in our home and on our back porch, but it feels like déjà vu every time. The plant eventually gets thrown into the wasteland of our backyard. Then we start over with a new plant, hoping for a different result. Nothing seems to change, though. When it comes to marriage, I see the same pattern. Most couples I see for counseling are there because their relationship is not what they hope for it to be. It doesn't look healthy. It feels dry and lifeless. Instead of growing and thriving, it only seems to be withering. In every marriage, there is a need to cultivate life. Strong marriages are grown over a long haul - they don't magically appear overnight. It takes time, thought, focused energy, and lots of help. Just as our plants keep dying for lack of water and care, marriages continue to slowly die for the same reasons. Marriage counseling is about helping couples cultivate new life in their marriages. Spending time together, sharing life, speaking graciously, admitting fault, forgiving quickly, small acts of kindness, sacrificial service, moving towards deeper intimacy - all these are like drops of water to a thirsty plant. Every marriage takes work. Every marriage needs help. When I think about my own marriage, there have been ups and downs, seasons of draught and seasons of abundant rain. We've asked for a lot of help along the way, and we're learning to slow down when we see the leaves turning yellow and the soil start to look dry. We're learning what it looks like for us to cultivate life together, but more than anything, we're growing to see Jesus as the 'living water' our marriage desperately needs (John 4). Don't be afraid to take an honest look at your marriage, and don't be afraid to ask for help. Cultivate life together - your marriage is worth it. Every action creates some type of effect. A kind word, an act of service, a choice to forgive - each movement is like dropping a small pebble into a still pond, causing small ripples of change to slowly drift out in all directions. Life spreads, hope touches new places, and people experience a small taste of grace. But this can also work in a different way - a nasty stare, a sharp comment, a harbored bitterness - these acts, however small, create their own ripple effect as well. LIfe is drained, hope fades, and people experience yet another taste of what is deeply wrong with our world. When we talk about change - in ourselves, our families, our relationships - we often think that it's the big things that really matter. We assume good and lasting change happens in huge paradigm shifts, where we pledge to walk in a new way, to be radically different. While there's nothing necessarily wrong with this, we tend to overlook the place where the action really is - the ordinary. Small words and subtle acts are loaded with significance. Every day we carelessly toss a vast array of pebbles into the pond, not realizing that every one of those has great power - for good or bad, to bring life or take it away. But they do matter, and it does add up. When I sit with couples in marriage counseling, few see the power these small acts have in their life. But these seemingly insignificant moments have begun to tear at the marriage, slowly unraveling it from the inside. But what is at stake is even more than just this relationship - their marriage is yet another stone, thrown into the lake, creating waves for others. Children, family, friends, community, work - the waves are felt. And the waves continue on and on and on, not only here and now, but for generations to come. I recently finished reading The Eyes of the Heart by Fredrick Beuchner, and he shares about his parent's troubled marriage, his father's suicide when Fredrick was just a boy, and what it was like to live in the wake of such heartbreaking realities. Here I am, over 50 years later, and the small choices of his parents are touching me in some way. The ripples created by the small pebbles thrown into the waters have reached me across an incredible distance to make a small difference in my life. The ordinary matters, and the small is never insignificant. Grace is founds in the most unlikely of places - a kind hello, a simple 'how are you? ', a note of thanks, a harsh word held back, forgiveness extended. In these small acts we see Jesus in a shadowy way, experiencing a taste of new life that is blooming in the strangest of places. As you walk through your day, remember, there are no insignificant moments - the ordinary matters. Create ripples of grace. Today is Good Friday – a day where the Christian church around the world slows down to reflect upon the death of Jesus so many years ago. Every year it forces me to remember and reconsider what the gospel is all about. And every year it stirs up different thoughts, emotions, and questions for me. One particular question I find myself asking in this season is - why does life have to be so hard? When I meet to people in the counseling office, get together with to people at church, spend time with my own family, and listen what is going on in my own heart – I see that suffering is an inescapable reality for every one of us. But how do we reconcile God’s goodness with the pervasive difficulty of life? Theologians, philosophers, and countless others have given numerous answers, but we still find ourselves asking the same old question, year after year. As I prepare for our church service tonight, I realize that Good Friday doesn’t give an exhaustive answer, but it certainly gives us something very important to think about. It reminds us that Jesus enters our darkness and suffers on our behalf. Good Friday says to us – look at the cross, look at the wounds, look at the crown of thorns – behold your God. Jesus enters our sufferings and takes on the weight of our sin. We are known and we are loved, and the cost for our rescue is not cheap. This doesn’t answer all of our questions on why life has to be so hard, but it reminds us that our God is no stranger to suffering. We can be confident that the reason behind our suffering is not indifference or cruelty on God’s part. We can trust whole heartedly that a love this big is up to something very good in all this. Sad. Lost. Weary. Hopeless. What happens when these words begin to describe us? What happens when there is a gaping disconnect between what we say is true about life and what we really feel on the inside? I feel this tension every day. Since high school, I’ve experienced what the medical field labels ‘depression.’ Inside me lives a darkness that I can never seem to fully escape. It haunts me, always waiting to pull me in. It speaks to me, spinning half-truths that confuse and distort how I see reality. There are times where it eases up, and times where it feels gone for good. But sure enough, it always seems to find its way back to me. But I'm a counselor and a pastor - how can I be in the work of helping people when I myself am in need of such desperate help? Am I missing something? Did I take a wrong turn somewhere along the way that got me far off track? While I regularly wrestle with those questions, my everyday interactions with hurting people remind me that I'm not alone. We all face darkness in our lives in some way. No one is exempt. No one is free of struggle. There is a deadly misconception that Christians (especially pastors & counselors) should have it all together. No darkness. No doubts. No struggle. Only happiness, clarity, and contentment - all day, every day. We should always have out stuff together, and problems in life are only a sign that we’ve messed up something along the way. When I trek through the scriptures, I see a very different story. The Bible is a very raw book. It doesn’t present a neat and tidy picture of life. It’s honest, real, and wonderfully hopeful to people like me who struggle deeply. Psalm 42 is one passage that speaks deeply to my soul. My heart is breaking as I remember how it used to be: I walked among the crowds of worshipers, leading a great procession to the house of God, singing for joy and giving thanks amid the sound of a great celebration! as your waves and surging tides sweep over me. But each day the Lord pours his unfailing love upon me, and through each night I sing his songs, praying to God who gives me life. “O God my rock,” I cry,“Why have you forgotten me? But there is also light. There is also hope. There is also trust. There is also worship. Darkness and light, weeping and worship, heartache and hope – somehow, someway, they’re all here together. I wish the darkness would go away in my life. I fight against it. I pray against it. But it's still there. But I’m thankful to say that there is something else there as well - light. God is breaking through the darkness, and even using the brokenness to bring healing. The cross of Jesus reminds me that God has gone to extraoridinary lengths to show that he can be trusted and to show that he is always for me – no matter what I feel and no matter how bleak life appears. The resurrection of Jesus reminds me that light will have the final word over darkness. One day, the darkness will be gone forever. This continues to be my only hope. Jared serves the Athens community as a Pastoral Counselor at Stonegate Counseling Associates, and as an Assistant Pastor at Resurrection Presbyterian Church (PCA). He earned a Master of Divinity degree from Reformed Theological Seminary in Atlanta, and is continuing his studies with the Christian Counseling and Education Foundation (CCEF). He has been married to his wife Kaitie for 10 years and they have two small boys (Ethan & Andy).